I’m bringing back my food journal series! Sure, I share plenty of recipes and pics of what i eat but it’s not that often you see EVERYTHING I ate in a day which I know can be very helpful. Please keep in mind that this is what works for ME. This is my balance. Your balance may look a lot different and that’s perfectly okay! This post isn’t about making comparisons. It’s just meant to be one example of what healthy, balanced eating may look like. I do follow a vegan diet, like 98% of the time, but I also make a point to eat intuitively. I don’t count calories or macros. I don’t weigh or measure my food. I do my best to listen to what my body needs both physically and emotionally. 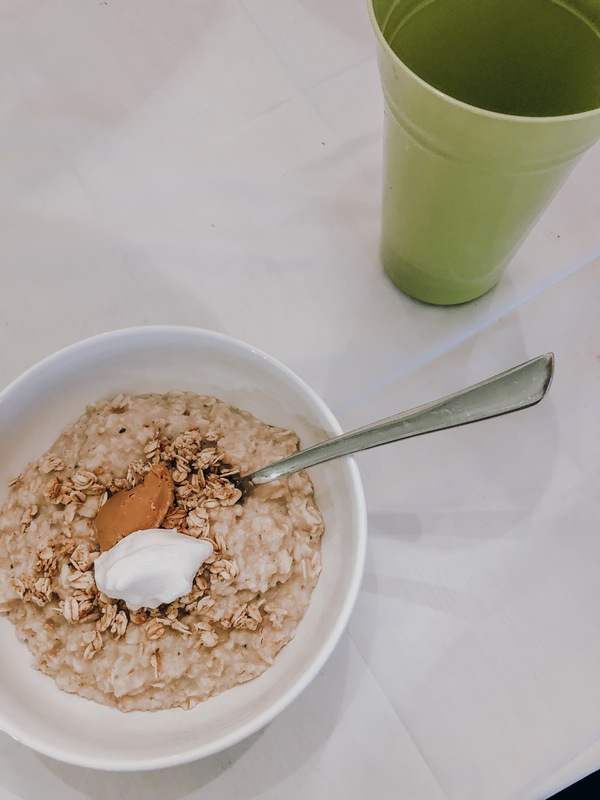 I used organic oats cooked in water and added unsweetened almond milk, flax meal (since I’m in my follicular phase), hemp seeds, unsweetened coconut, peanut butter and unsweetened coconut yogurt (for probiotics). Very satisfying and fueled me for a workout! 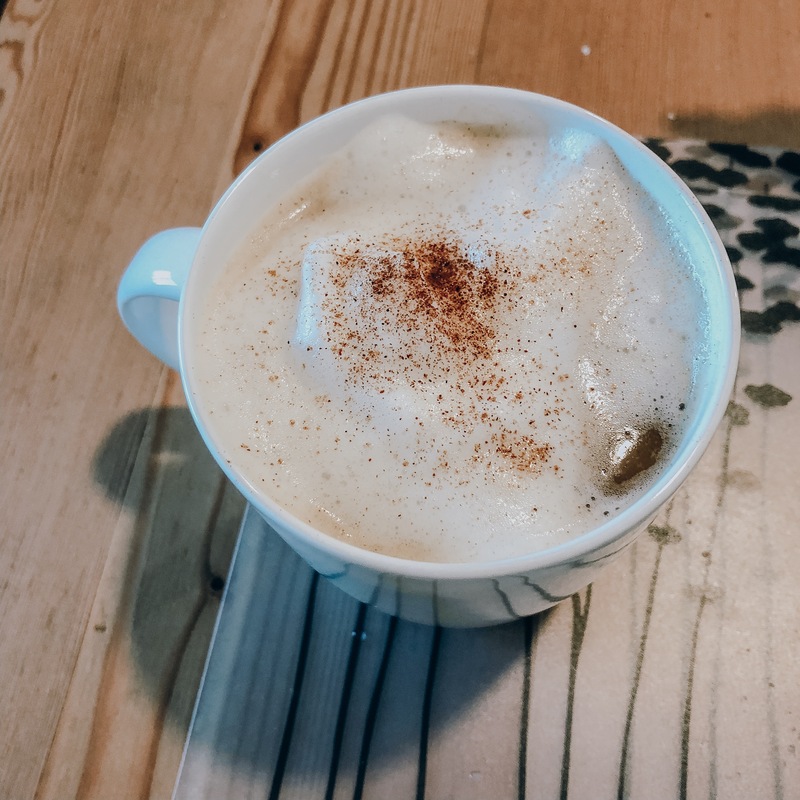 Organic, water processed decaf coffee with unsweetened almond milk and cinnamon. I can’t drink coffee and then workout so sometimes I’ll have it after or else just not at all. 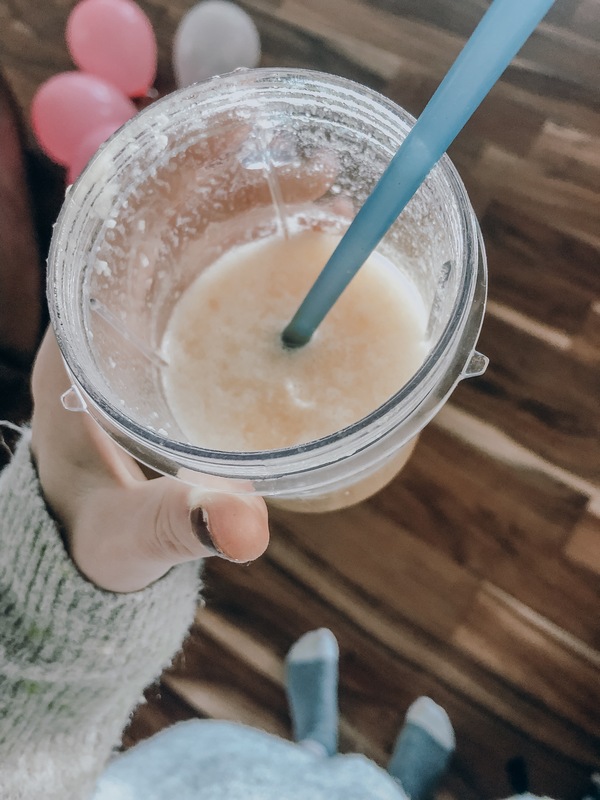 I split a smoothie with Beckett made of banana, unsweetened coconut, pineapple, oranges and water. 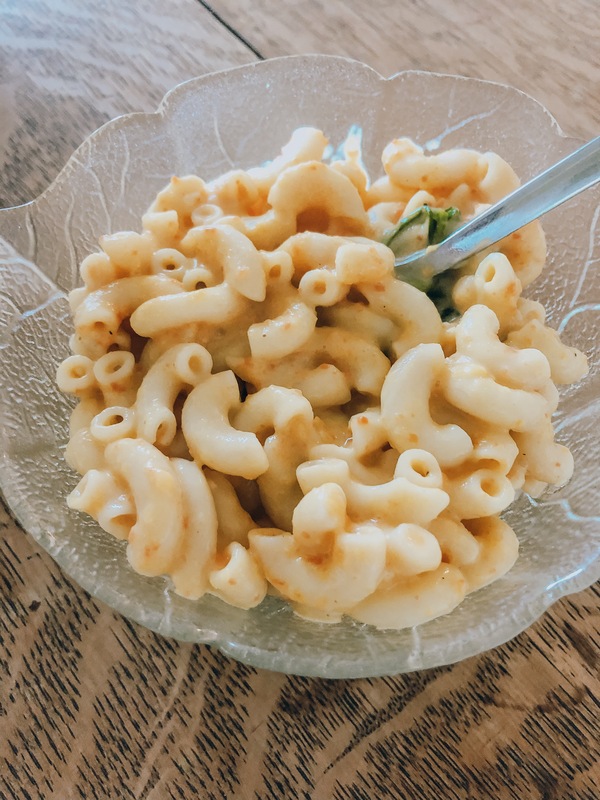 Macaroni and cheese made with butternut squash, cashews, spinach, vegan sausage and various spices. 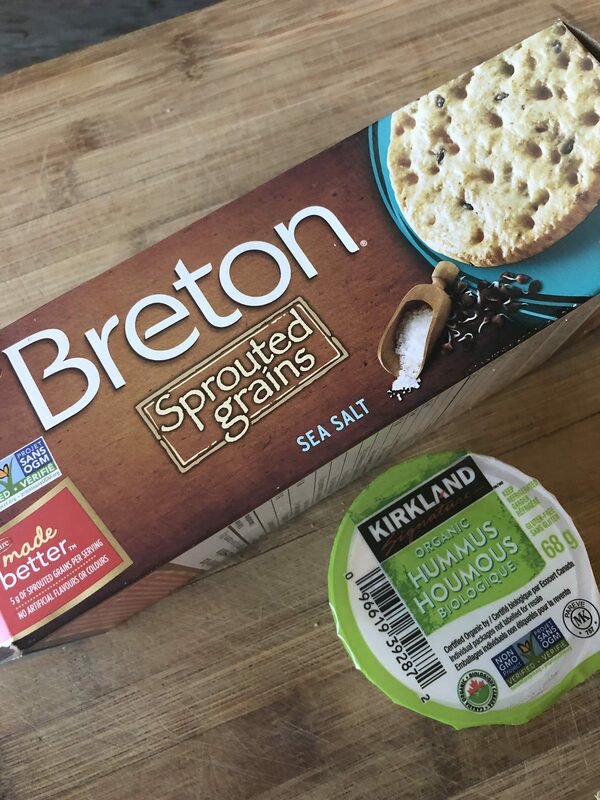 Snacked on these sprouted grains crackers with hummus (LOVE this hummus, so yummy). I also had one of these bars as a treat. 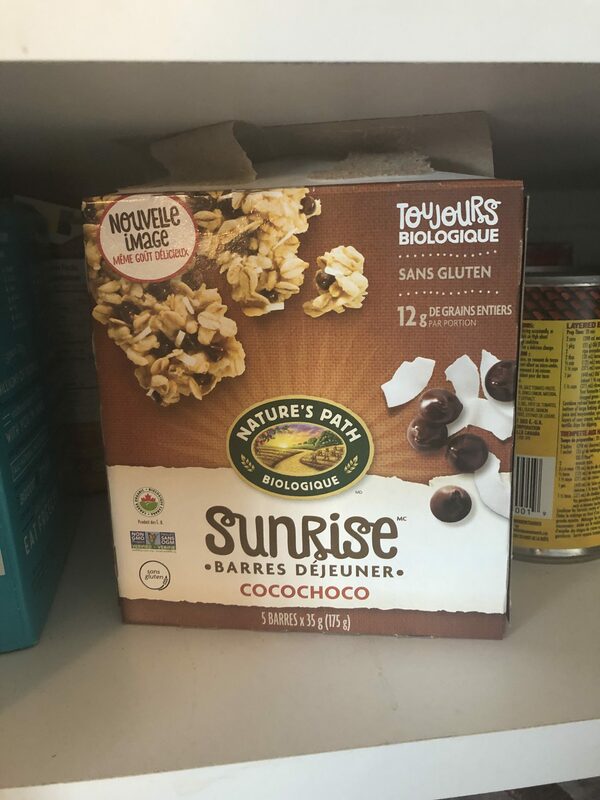 Not the most nutritious but hey. It was tasty. I think they have around 7g of sugar. I also had one of these in the afternoon. These remind me of Sprite but without the sugar. 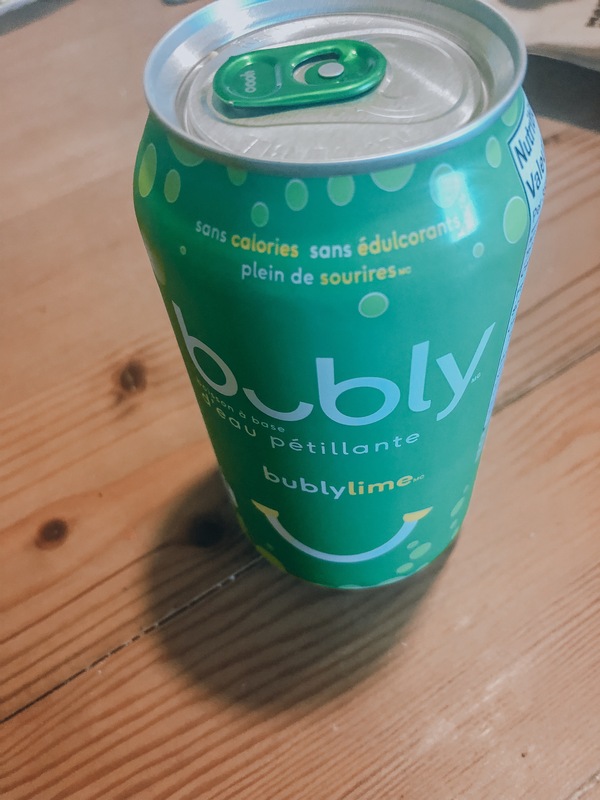 Personally I love carbonated flavored water but I don’t drink more than 1 a day and I don’t buy them all the time because occasionally they mess with my digestion. For dinner I focused on veggies with some protein. 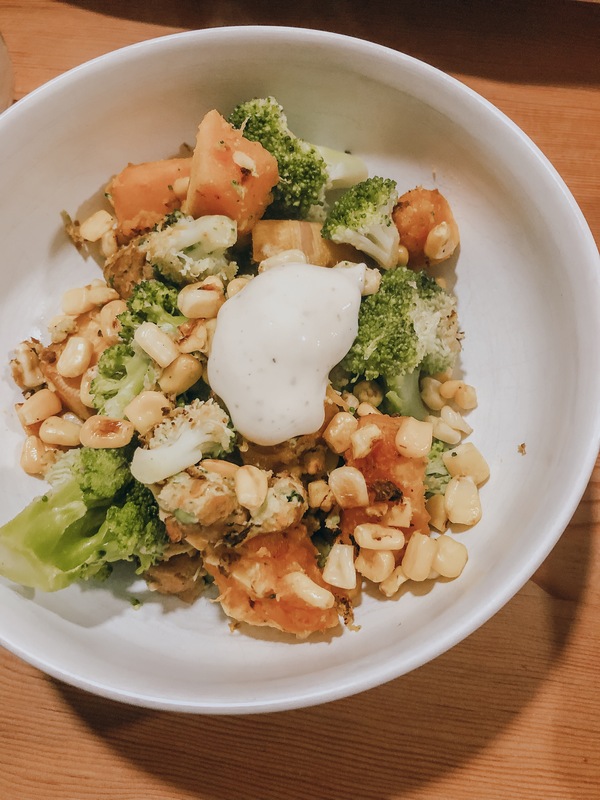 I used frozen veggies as well as leftover squash along with some premised frozen veggie chickpea balls and a little Daiya ranch dressing. It was a quickly thrown together meal! 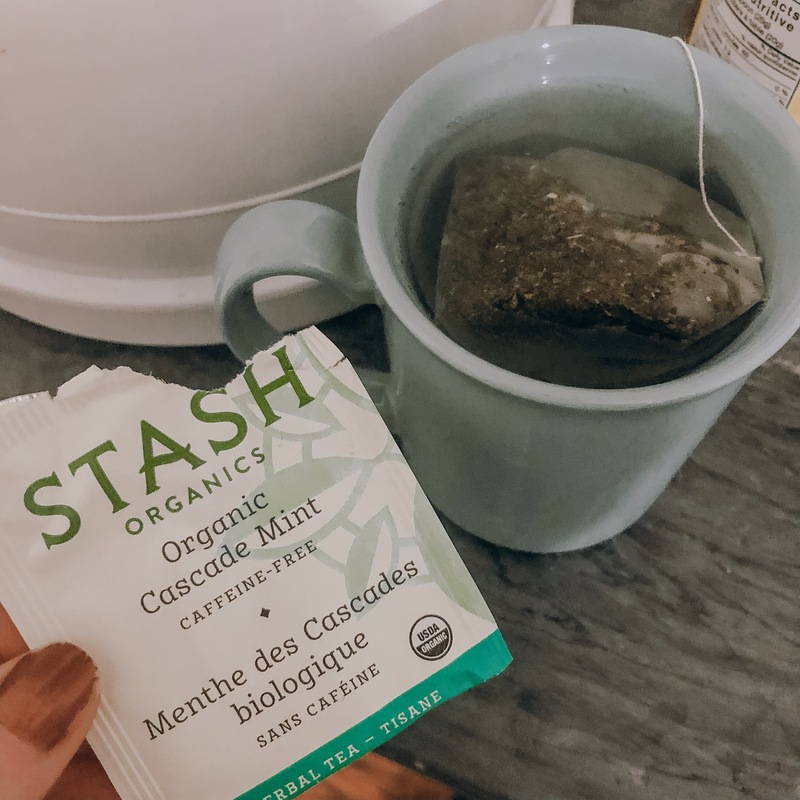 In the evening I had mint tea which helps with bloating and indigestion which I was still feeling a tiny bit from having a bit too much sugar the previous few days. 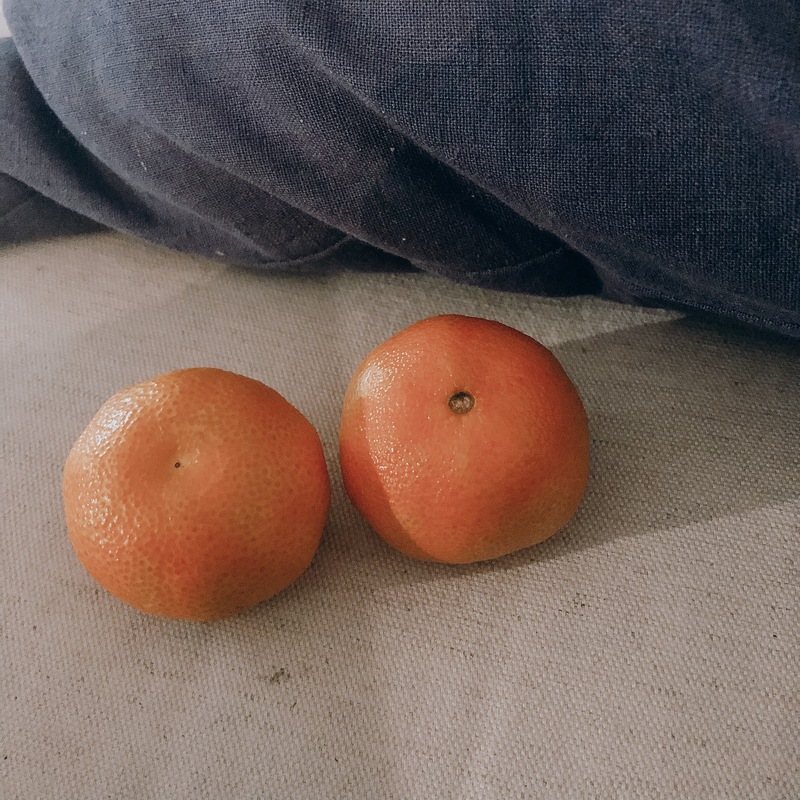 I also had some little oranges around 8:30pm since I had dinner at 5:30 and didn’t want to go to bed hungry. So there you have it! To me, eating is never about being perfect. I want to truly enjoy my food and have it make me feel good physically, mentally, emotionally and even spiritually! Some days I have 8 servings of veggies and some days it’s more like 4. Some days I eat cereal. Some days I eat superfoods. Some days I take supplements and some days I don’t (or I forget like on this particular day haha). It’s all about balance and trusting my body! It took me a looonggg time to get to that point so if you aren’t there yet, I totally get that! But you can get there. 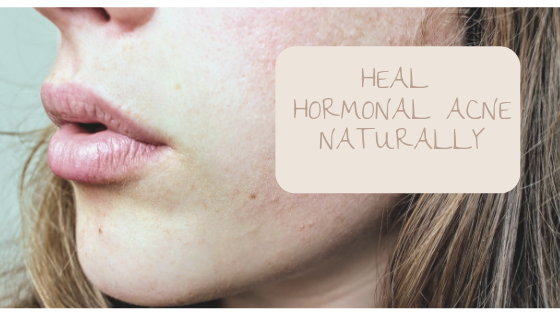 Grab my free ebook on Healing Hormonal Acne Naturally!